Best kisses or romantic moments. 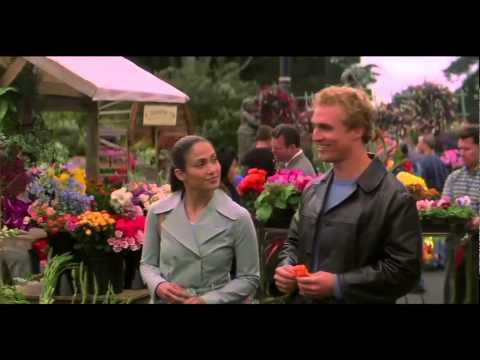 Is "The Wedding Planner" your favorito Jennifer Lopez movie? Post a pic of your favorito scene from the movie! I was watching this last night and I actually enjoyed this movie. It tells the story of a woman who is a wedding planner who falls for a handsome doctor who is actually engaged to one of her clients. I liked the chemistry between Jennifer Lopez and Matthew McConnaghey who was eye doces in this movie. Although the movie is very predictable I would watch it again whenever its on TV. I adored the ending of this movie because it was so romantic. Keep an eye out for Justin Chambers aka Alex Rocco from Grey’s Anatomy who plays J-Lo’s so called fiance. a question foi adicionado: Need recommendations for a good hairstylist. a link foi adicionado: Was Meghan Markle Inspired por Jennifer Lopez's Dress In The Wedding Planner? Which future estrela of the hit show Grey's Anatomy was in this movie? What was your favorito part?